The fifty-second annual meeting of the Joint Advisory Group on the International Trade Centre (ITC) will be held on 10 July 2018 at the World Trade Organization, in Geneva, starting at 10 a.m. The statements below were delivered during the Joint Advisory Group meeting. They are published “as received” by the Secretariat, in the original language and format. The Joint Advisory Group (JAG) of the International Trade Centre (ITC) meets annually to examine the activities of ITC on the basis of its Annual Report and to make recommendations to the UNCTAD Trade and Development Board and the General Council of the World Trade Organization on ITC’s programme of work. Governments of Member States of UNCTAD and Members of the WTO are invited to send representatives to this meeting. It is recommended that this representation be at the level of senior officials involved in trade and development. The fifty-first annual meeting of the Joint Advisory Group of the International Trade Centre will be held on 10 July 2017 at the World Trade Organization in Geneva, starting at 10:00. The programme of the Joint Advisory Group 50th session is available in PDF. The forty-ninth annual meeting of the Joint Advisory Group on the International Trade Centre (ITC) is held on 26 June 2015 at the World Trade Organization, in Geneva, starting at 10 a.m. in Room S1. The programme of the Joint Advisory Group 49th session is available in PDF. The Joint Advisory Group (JAG) of the International Trade Centre (ITC), composed of the members of UNCTAD and WTO, meets to examine ITC’s programme of work and makes recommendations to the UNCTAD Trade and Development Board and the WTO General Council. The JAG meeting is also open to United Nations specialized agencies and bodies, and other intergovernmental organizations with observer status, and non-governmental organizations with an interest in export development. The ITC convened its 48th annual JAG meeting during 11-12 June 2014. During that meeting it was agreed to hold an informal session in December 2014 to have a dedicated discussion on the findings and the recommendations of the external independent evaluation of the ITC that was concluded in May 2014. The focus will be to discuss the responses of ITC management and ITC’s Governors and supporters’ to the evaluation recommendations. This meeting is now set for 26 January 2015 at 15:00 in Room W at the WTO. The programme of the Informal session of the Joint Advisory Group is available in PDF. The statements below were delivered during the Informal Joint Advisory Group. They are published “as received” by the Secretariat, in the original language and format. The forty-eighth annual meeting of the Joint Advisory Group on the International Trade Centre (ITC) is held from 11 to 12 June 2014 at the World Trade Organization, in Geneva, starting at 10 a.m. on 11 June in Room CRI. The programme of the 48th JAG session is available in PDF and on the web. The statements below were delivered during the ITC forty-eight Joint Advisory Group (11-12 June 2014). They are published “as received” by the Secretariat, in the original language and format. The forty seventh annual meeting of the Joint Advisory Group on the International Trade Centre (ITC) was held on 6 and 7 May 2013 at the Palais des Nations, Geneva. Governments of States members of UNCTAD and members of WTO sent representatives to this meeting. It was recommended that this representation be at the level of senior officials concerned with trade promotion or the development of foreign trade in general. It was especially desirable that the developing countries and economies in transition, which ITC is mandated to serve, were adequately represented. The forty sixth annual meeting of the Joint Advisory Group on the International Trade Centre (ITC) convened between the 21 to 22 May 2012 at the World Trade Organization, Geneva. Governments of States members of UNCTAD and members of WTO sent representatives to the meeting. Representation was at the level of senior officials concerned with trade promotion or the development of foreign trade in general. Representatives from developing countries and economies in transition, which ITC is mandated to serve, were well represented. The meeting was open to United Nations specialized agencies and bodies as well as to other intergovernmental organizations with observer status, and non-governmental organizations which have an interest in trade promotion. Speech by H.E. Mr. Francisco Pírez Gordillo, Ambassador, Permanent Representative to the WTO, Permanent Mission of Uruguay. Monday, 21 May 2012, 10:10-10:20. Speech by Ms. Patricia Francis. Monday, 21 May 2012, 10:40-11:00. Mr. Friedrich von Kirchbach, Director, Division of Country Programmes, ITC. Tuesday 22 May 2012, 10:00 – 10: 20. The 45th annual meeting of the ITC JAG was held in Geneva on 30 June and 1 July 2011. The JAG meets annually to examine the activities of ITC on the basis of the annual report and to make recommendations to the UNCTAD Trade and Development Board and the WTO on ITC’s programme of work.The 2011 meeting was attended by 145 delegates from 73 countries, six international organizations, four intergovernmental organizations, two NGOs and one observer mission. The Secretary-General of UNCTAD and the Director-General of WTO attended the meeting. Delegates from 36 countries contributed to the discussion following the presentation of the 2010 Annual Report, and their main points, outlined below, are addressed by ITC in its Strategic Plan for 2012–2015 and in its 2012 Operational Plan. With broad consensus, the JAG commended ITC on its technical assistance programmes and its progress in implementing RBM. Delegates said the annual report represented a significant advance on the previous year and that ITC was on track in establishing a strategic approach to project design and delivery, taking a stronger analytical approach than before. Some donor-country delegates recommended a stronger overview, linking ITC projects to strategic objectives, a sharper assessment of results and outcomes, and a demonstration of value for money. Several said they believed an improved corporate logical framework would improve the reporting. Delegates broadly welcomed progress made in the development of a RBM approach to project development and delivery, and also the introduction of quality-assurance mechanisms to enhance ITC’s performance. They also applauded ITC’s increased focus on delivery to the most vulnerable countries — the LDCs, LLDCs, SIDS and SSA States — although some delegates from other countries expressed the hope that donors would not overlook their need for ITC’s support. Concern was also expressed by some delegates that certain regions, namely Latin America, the Caribbean and Eastern Europe and Central Asia, continued to attract few resources.Delegates acknowledged that changes brought about by the Arab Spring would make the work of the agency even more important, to help countries rebuild their economy. There was a call for ITC to follow up on the LDC-IV conference in Istanbul. Several countries commended ITC for organizing the WEDF parallel to the LDC-IV with a focus on tourism, the private sector and poor communities, and some delegates recommended that ITC concentrate more on the services sector. All of the countries involved in the EnACT programme spoke about its importance and positive impact, urging the main donor, Canada, to continue its support and hoping the programme’s activity would intensify. Many countries emphasized the continuing importance of ITC’s work in mainstreaming gender into its activities at headquarters and in the field, welcoming the launch of the Women and Trade programme. Finally, the importance of close working relationships with all stakeholders was emphasized, in particular with partner countries. One delegate said that, as ITC is a small agency with a broad client base, partnership was critical. 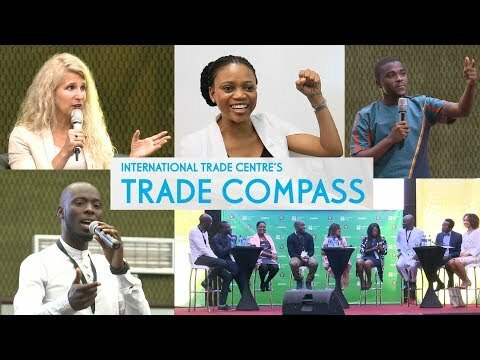 Fostering partnerships between governments and the private sector was also an important part of ITC’s work. The forty fourth annual meeting of the Joint Advisory Group on the International Trade Centre (ITC) has convened from 16 to 17 December 2010 at the Palais des nations, Geneva, starting at 10:00 a.m., in room XVII. The Joint Advisory Group has examined the activities of the ITC and made recommendations to the UNCTAD Trade and Development Board and the WTO General Council. Discussions focused on the ITC annual report, the ITC 2011 consolidated programme document and draft 2011 operational plan. One session was set aside for a presentation of one aspect of ITC’s work. An opportunity was provided for the announcement of donor contributions to ITC for 2011. The forty third annual meeting of the Joint Advisory Group on the International Trade Centre (ITC) convened from 14 to 15 December 2009 at the Palais des nations, Geneva, starting at 10:00 a.m., in room XVII. The Joint Advisory Group examined the activities of the ITC and made recommendations to the UNCTAD Trade and Development Board and the WTO General Council. Discussions focused on the ITC annual report, the preliminary report on 2009 activities, the strategic plan (2010-2013) and the 2010 consolidated programme document. One session was set aside for a presentation of ITC’s export strategy work. An opportunity was also be provided for the announcement of donor contributions to ITC for 2010. The forty-second annual meeting of the Joint Advisory Group on the International Trade Centre (ITC) took place from 10 to 11 December 2008 at the Palais des Nations, Geneva, starting at 10:00 A.M., in room XVIII. The Joint Advisory Group examined the activities of the ITC and make recommendations to the UNCTAD Trade and Development Board and the WTO General Council. Discussions focused on the strategic plan and the strategic framework and the 2009 consolidated programme document. One session was set aside for a presentation of ITC’s programmes for poverty reduction, trade and environment, and gender in trade. An opportunity was also provided for the announcement of donor contributions to ITC for 2009.